History: Occupied by the British in 1627, Barbados remained a colony of Great Britain until achieving internal self-government status in 1961. The House of Assembly, which began meeting in 1639, is the third oldest legislative body in the Western Hemisphere, preceded only by Bermuda’s legislature and the Virginia House of Burgesses. Barbados was one of ten members of the West Indian Federation from January 1958 until its dissolution in May, 1962. With the termination of the federation, Barbados reverted to its former status as a self-governing colony. Following the failure of various attempts to form another federation composed of Barbados and the Leeward and Windward Islands, Barbados became an independent sovereign state within the Commonwealth on November 30, 1966. UWI Connections: Barbados is not only a contributing country; it also hosts one of the campuses of the UWI. The Cave Hill Campus, situated some three miles from Bridgetown and covering about 50 acres, was established in 1963. 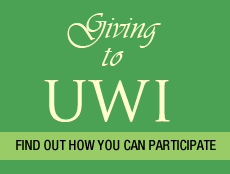 Also visit the UWI Open Campus - Barbados.